Below are links to a selection of studies, reports and articles that Sthlm Policy Group have been involved in. A year long book project on business and social performance of companies operating in fragile contexts was presented in November 2013 at the Swedish Ministry for Foreign Affairs' CSR-event held in collaboration with the International Council of Swedish Industry. The book represents conversations with more than 100 company managers from more than three dozen companies. The new book presents questions for leaders that can guide more thoughtful and rigorous strategies for businesses operating in complex environments. It suggests inquiries that allow managers both to mitigate risks and create new opportunities in difficult places. It demonstrates through the practical examples of successful company leaders why asking and answering questions helps managers meet a company’s full range of goals – technical, financial, legal, reputation and social – in challenging business markets. In doing so it aspires to support new leaders as they work to achieve their own successes for their companies as well as the societies in which they do business. Stockholm Policy Group was one of six co-authors of the book in collaboration with: the Corporate Engagement and Reflecting on Peace Practice Programs at CDA in the United States; Geneva Peacebuilding Platform in Switzerland; Institute for Business in the Global Context of the Fletcher School at Tufts University at the United States and IRENE Institute of the ESSEC Business School in France. Brian Ganson is the editor and research director of the book. He resides at the Africa Centre for Dispute Settlement at University of Stellenbosch Business School in South Africa, and is a Senior Fellow with the Center for Emerging Market Enterprises of The Fletcher School, Tufts University. Brian is also a senior consultant and adviser to Stockholm Policy Group. The book project was managed by the International Council of Swedish Industry and financed by Sida. The book can be downloaded here. "Since UNSCR 1325 was passed, the Swedish Armed Forces have gone through an impressive process of change from limited early projects to an institutionalised gender organisation that has worked to mainstream a gender perspective, to conduct training, and to establish specific gender-related functions, such as Gender Field Advisors and Gender Focal Points. The Gender Field Advisors have during this process been deployed with Swedish and international units in conflicts around the world and have thereby gained important experience as well as continued to refine the Swedish approach to gender implementation in military operations. The latest development has been the establishment of the Nordic Centre for Gender in Military Operations, which will seek to function as a platform for continued implementation of a gender perspective in both Sweden and abroad. The purpose of this report is to increase the understanding of these organisational processes, the driving factors and roadblocks within the armed forces, the activities conducted in the field and their impact at home and in the area of operations is essential to the continuing implementation of UNSCR 1325 and the implementation of a gender perspective more broadly. This understanding has the potential to provide support and lessons for similar processes in the armed forces of other countries and even other contexts." The evaluation team was led by Norwegian firm Scanteam. SPG's Hannes Berts participated in the team to cover access to justice and judicial development issues. He worked on the Guatemala case study together with Scanteam's Manolo Sanchez. The report is available here. 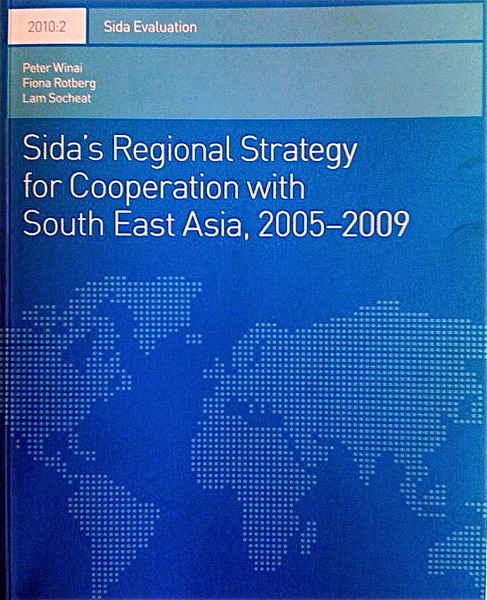 The Evaluation report Sida’s Regional Strategy for Cooperation with South East Asia, 2005-2009, has been published in Sida’s Evaluation Series 2010:2. The evaluation was conducted in the fall of 2009 by Sthlm Policy Group in cooperation with Winai Development. The report is available here. 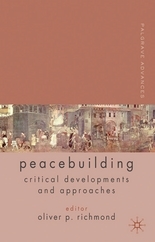 Fiona Rotberg has published a chapter entitled "Peacebuilding and Environmental Challenges" in Advances in Peacebuilding: Critical Developments and Approaches, edited by Oliver Richmond, 2010, Palgrave Publishers, London: p. 392-415. Fiona Rotberg just published a report on her work researching the effects of climate change on rural poor villages in Bangladesh. 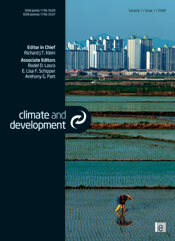 Her report appears in the journal Climate and Development, Volume 2 (2010) 65-72. In 2009, Sthlm Policy Group conducted an evaluation of Diakonia's International Humanitarian Law Program in the occupied Palestinian territory (oPt) and Israel. The report is published on Diakonia's website. Sthlm Policy Group has been heavily involved in the Swedish Government led process Stockholm Initiative on Disarmament Demobilization Reintegration (SIDDR). Below are links to the reports of the process. Sthlm Policy Group has a long standing relationship with Somalia International Rehabilitation Center and regularly attends the organization's annual Conferences. Since 2008, SPG edits the report from the conference. Sthlm Policy Group served as the secretariat for the WMDC, and its Chairman Dr. Hans Blix, from 2006 and 2009 and oversaw the translation of the report to a number of languages, including Chinese, Arabic, and Swedish.